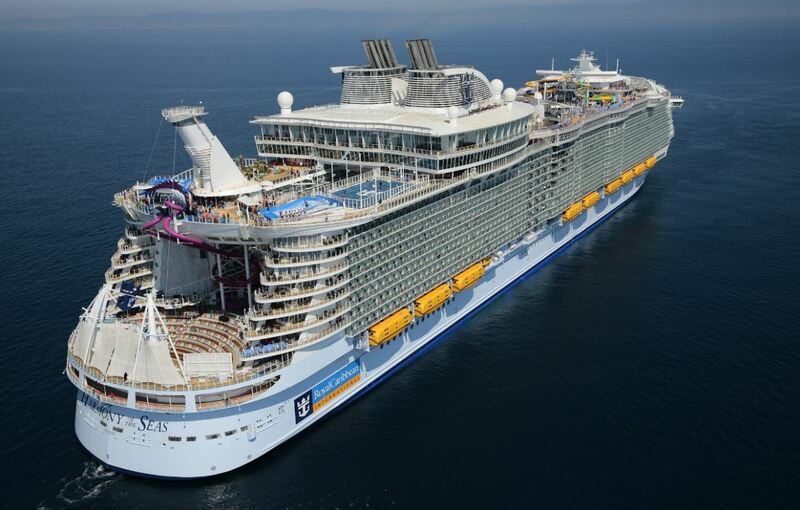 By now we have all seen pictures from inside Harmony of the Seas. 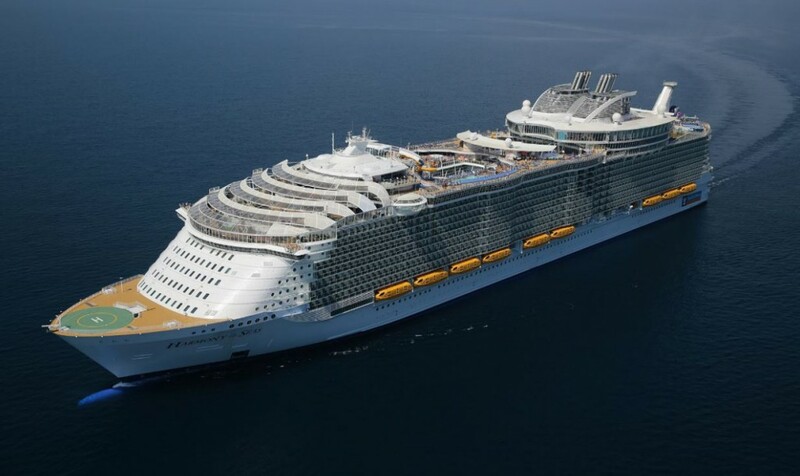 But just in case you have no clue what the interior of the biggest cruise ship in the world looks like, have a look here: Inside Harmony of the Seas. 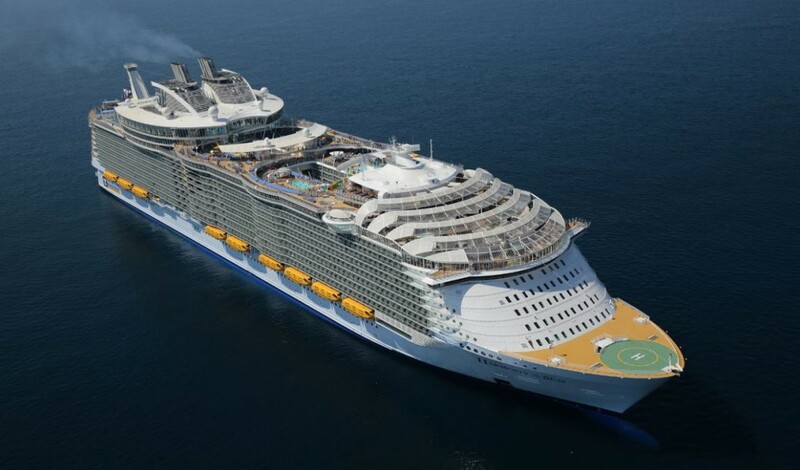 So it’s about time we had a bird’s eye view of Royal Caribbean’s newest and biggest ship so far. 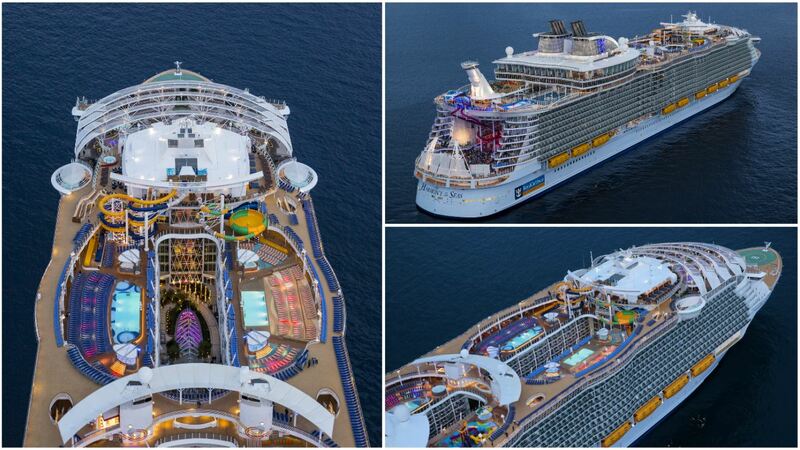 From these pictures we can see some of the design differences between Harmony of the Seas and Oasis and Allure of the Seas. An aerial view of The Ultimate Abyss, the tallest slide at sea, plunging courageous adrenaline seekers 10 stories down from deck 16 to the Boardwalk on deck 6. 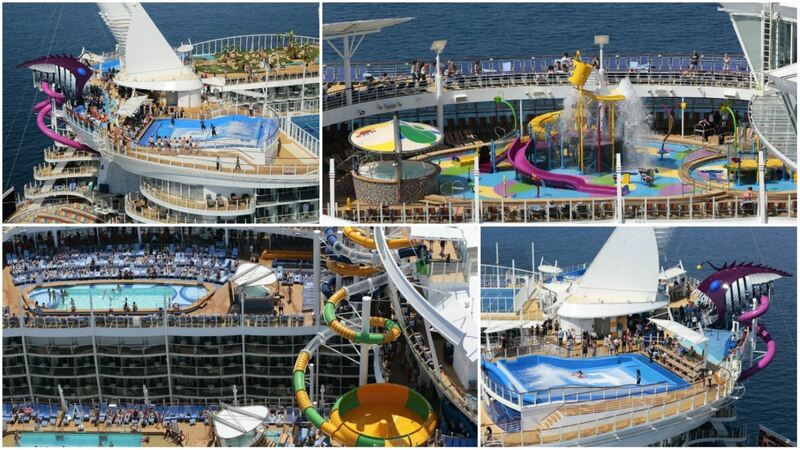 The Ultimate Abyss, Splashaway Bay, the Perfect Storm Waterslides and the Flowriders seen from above.